Design and renovate the existing 3,000 sq. 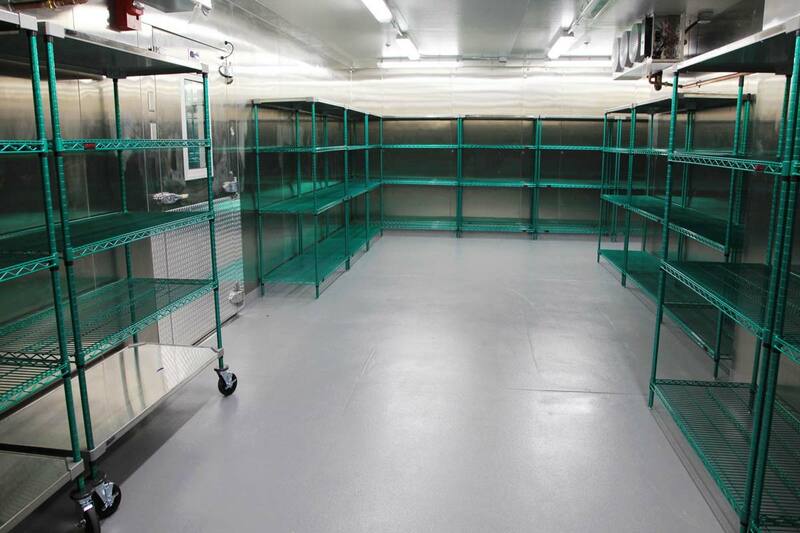 ft. dry goods receiving and storage areas, and installation of three new refrigeration and freezer coolers for Food Nutrition Services adjacent to an active kitchen serving the hospital. Upgraded HVAC system to direct digital controls and designed the 1,530 sf of new refrigeration cooler system to an emergency backup power generator. Structural modifications were necessary to eliminate the existing cooler ramps by recessing the cooler floor insulation to deliver a level floor surface throughout the renovated space. 100% renovation of the architectural features inclusive of abatement, demolition of existing walls, new walls, doors, window, wall protection, moisture resistant-ceiling and resinous flooring. 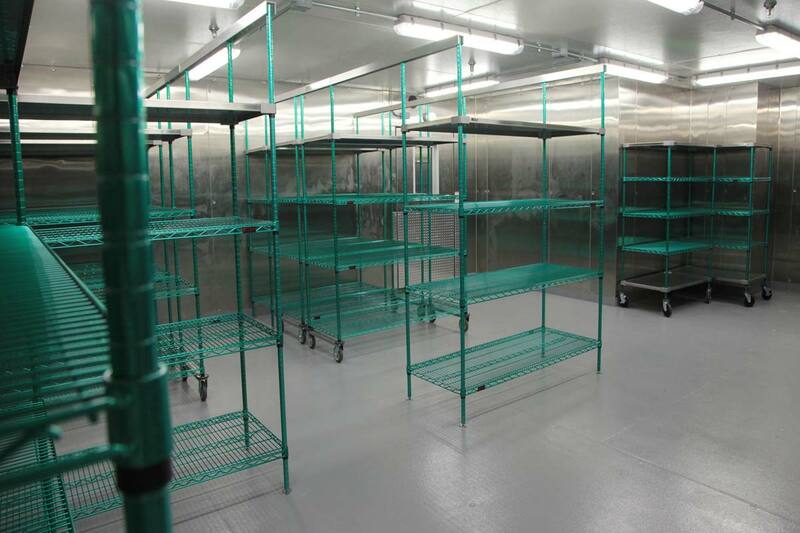 New LED lighting fixtures, fire alarm devices, millwork and storage racking system. 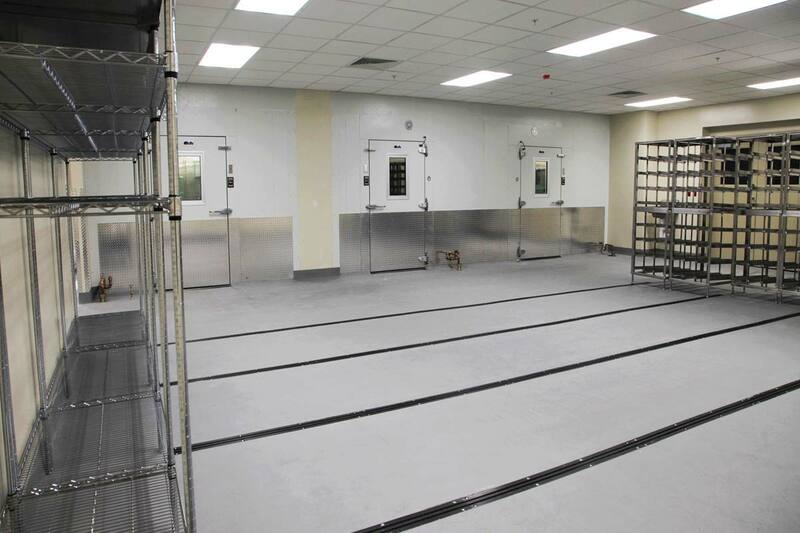 The pre HVAC Test & Balance report indicated the facility AHU that served the mechanical room was not sufficient to provide the needed CFM’s to cool the room. This shortcoming was overcome by reworking the existing duct work to improve airflow to the space.